In recent years a farmer’s market has tried to gain a foothold in the town – this struggled to find a decent home as in was shoved from car park to car park. 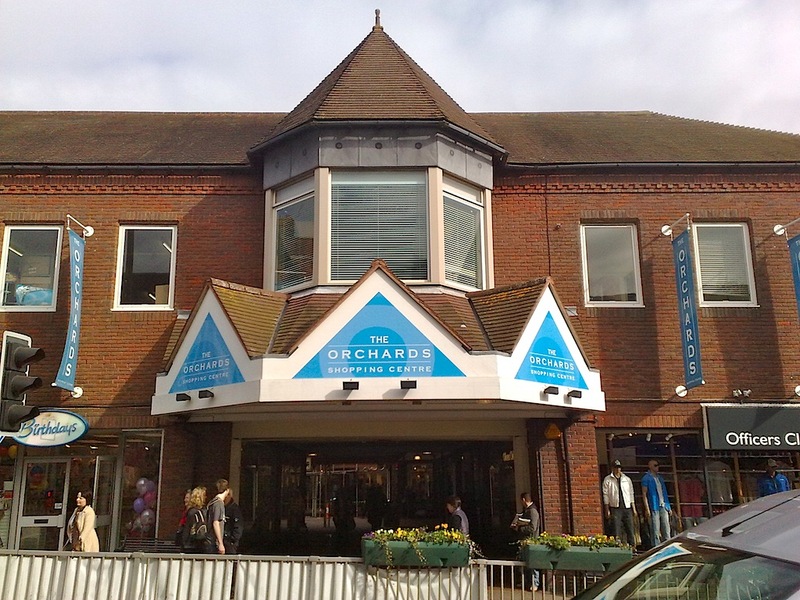 In the last year it seemed that things had begun to look up – it found an ideal home in the heart of the town’s Orchards Shopping Centre. However, it seems that Haywards Heath’s shopkeepers are not ready for some competition and as a result have insisted that some types of trader be banned. They totally missed the point that the market brought people to the shopping centre and as a result of their pettiness, it seems the market is now doomed. Once upon a time, Haywards Heath had one of the largest markets in the South East – people used to travel from miles away to visit it. Unfortunately, the land was too valuable to “waste” on a market so it was sold to make way for a Sainsburys store. This week’s market was the first under the new restrictions – there were at most 4 traders. What a shame it seems inevitable that the Farmer’s Market will, like the previous market, soon be just a memory. The biggest absence was from The Giggly Pig Company who sold the best sausages and bacon I have tasted it a long time.